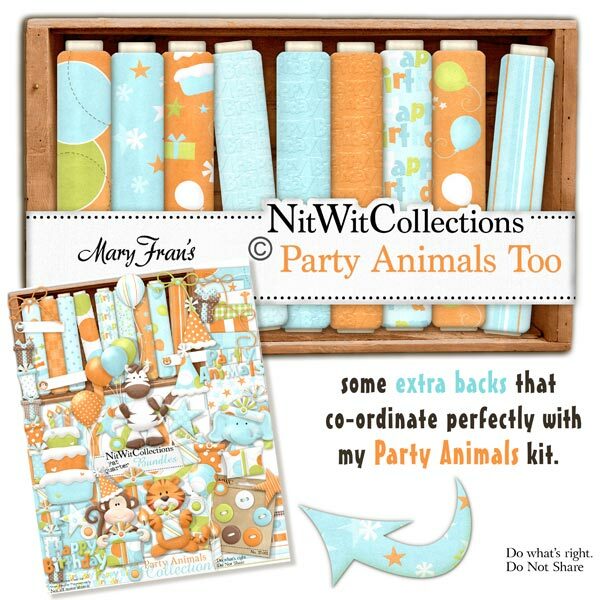 "Party Animals" Too contains many more colour and theme matched papers. Also includes a few solid papers of the main colours. These background papers are NOT included in the FQB "Party Animals", so please don't miss out!